April was a very focused month of JRPG playing for me. I managed to beat two decent-sized JRPGs in series that are new to me largely thanks to not straying much from them, which makes for a somewhat shorter video but means I completed two JRPGs, which is pretty satisfying. I did fit in a couple of extra things though, with my addiction to Xenoblade Chronicles 2 needing to be catered to and my daily Persona O.A. sessions exploring its recently added gameplay keeping my Persona 5 urges at bay. So although it’s not as many games as usual, here are all the JRPGs I played and got really into in April. 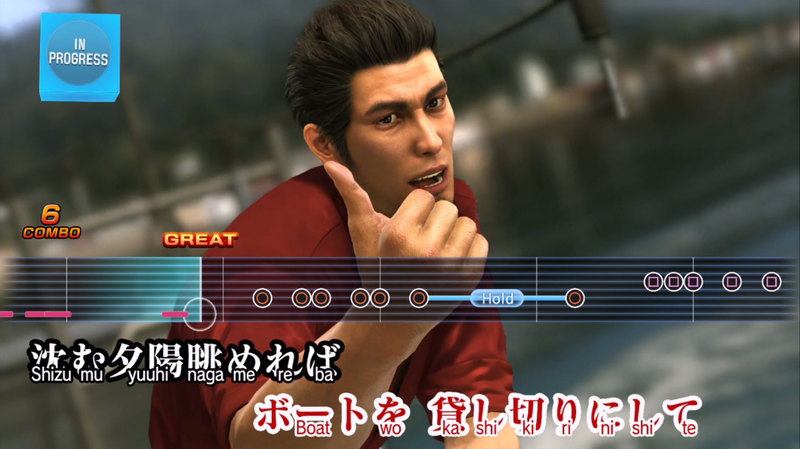 I’m still a little surprised that Yakuza 6 is my JRPG of the month, but with the way I raced through its chapters because of how into it I was, it really truly was my favourite JRPG of April. When I played its demo, I was brought in by its story and how deep and detailed its characters were and this continued in its full game: its characters balance being serious, funny, evil and human and finding out the heartfelt motives of its darker villains kept me hooked from start to finish. The best part of all of this is I have plenty more to look forward to in its mini-games and side-stories as well. I played a small bit of these, but my first playthrough was definitely more main story-focused, so I know the next time I go back into Yakuza 6 there’s plenty for me to do and more stories for it to tell. All in all, I’m very glad what I liked about Yakuza 6’s demo translated into its final game and its story is a highlight for me in JRPGs this year so far, so I hope that sometime soon I can get into Yakuza 0 to get more of this series’ great story soon. My JRPG of March Atelier Lydie and Suelle was still something I highly enjoyed in April as I came to the end of my 60 hours with it. 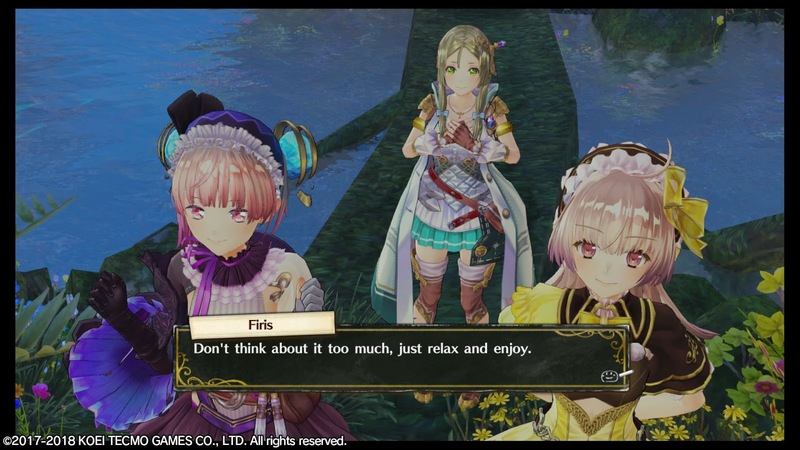 While it was much more light-hearted, I liked its more relaxed approach to storytelling with its fun characters that made me want to get to know the other games in Atelier's Mysterious trilogy and its collection mechanic is something I enjoyed as I came to understand the more intricate parts of it such as material quality and its effect on alchemy. The Atelier series is now also another I’d like to try more from in the future, but I also hope to get back into Lydie and Suelle sometime as well as I have so many side events left to see. I was also happy to see that in future DLC, there will be a Blue Reflection-inspired world put into the English version which gets me very excited as Blue Reflection is probably my favourite game by Gust and the world looks very accurate to what was in Blue Reflection. For now though, I’m pleased to say I enjoyed my 60 hours with Atelier Lydie and Suelle and am thankful that it introduced me to a new, relaxing kind of JRPG. I was delighted to find out as I was editing my last JRPGs I Played video that Persona O.A.’s gameplay mechanics had been added into the app and I got to playing them as soon as I could. This Persona game might not be the deepest JRPG for smartphones with its passive nature, but I came to like this passiveness as it means I can use my portable consoles for more immersive game experiences on-the-go and this one for something when I have a spare moment. I’ll have a more detailed explanation coming up about it in another video soon, but it balances being immersive while you play it with the familiar mechanics such as choosing Persona and raising confidant ranks with new social dialogues while being also quite passive with its search game, making it easy to feel like you’re making progress in it while still being able to not be glued to your phone on-the-go. It’s no replacement for Persona 5, but it works well as a pocket version and I would be very happy to see this be localised for its social events and how enjoyable it is in small doses, so as my new favourite smartphone game I’m looking forward to talking more about it soon. 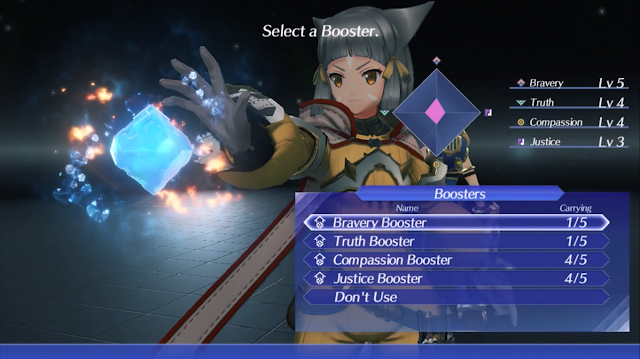 Since I’d finished Yakuza 6 and Atelier Lydie and Suelle towards the end of April, I decided to give in a little to my Xenoblade Chronicles 2 addiction and play just a little more of my New Game Plus playthrough to do a few more quests. I didn't play much other than quests that involved me running into Gormott to grab some ingredients and seeing if any of my Core Crystals would net me any of the newer blades (they didn’t), but it’s always a pleasure to re-enter the world of Alrest with its great soundtrack and charming characters, so hopefully I’ll get a chance to jump back in to play soon. I’m currently trying to focus my completionist playing of games a little more based on what I’m close to completing in other games, so I may be trying to pick it up a bit less over the next few weeks, but whether it gets an update or more blades, I’m quite sure something will bring me back into in the near future. Ever since Little Witch Academia: Chamber of Time’s release date got properly announced, I’ve had it in my JRPG calendar for May, so as soon as May rolled around, I made sure to pre-order and have it ready to pre-load for its launch day. I haven’t taken the time to watch any of the anime series yet like I wanted to unfortunately, but regardless of whether I do, from the fun characters I saw in its Japanese demo, I hope it’ll be as fun as I remember and I’m looking forward to seeing its animated cutscenes. 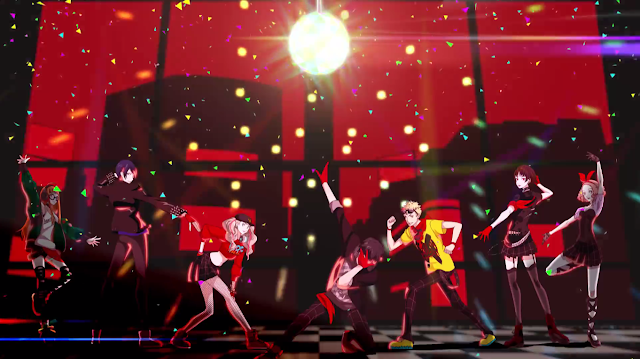 Another game I also pre-ordered for this month is the Japanese version of Persona 5 Dancing Star Night, which comes out towards the end of the month. Thankfully rhythm games don’t require a great amount of Japanese knowledge to understand them, so I’m very excited to play what I assume will be great remixes of Persona 5’s already fantastic soundtrack in the familiar rhythm game mechanics I enjoyed enough in Persona 4 Dancing All Night to make me platinum it, but this time on PS4 and with Persona 5 characters. And aside from new games, it looks like in the near future I will have some spare gaming time to give to Persona 2, so since I didn’t play any Persona 2 in April, I hope to continue on my mission of trying to complete it sooner rather than later. 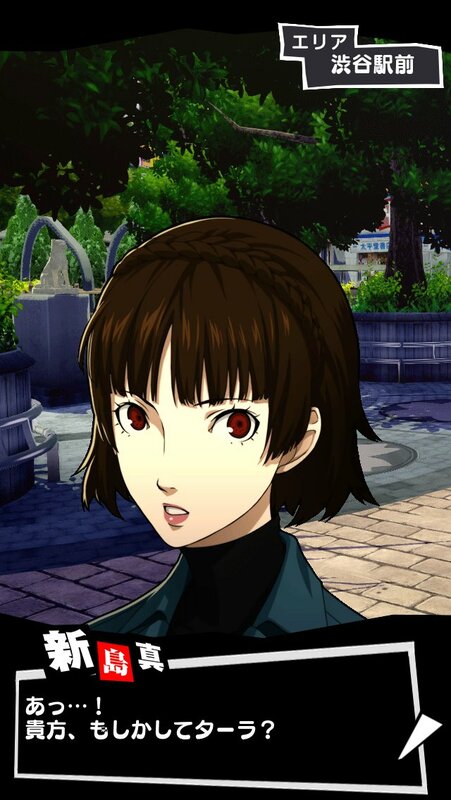 With two new JRPG-related releases I’m looking forward to playing, Persona 2 and whatever experiences pop up in between, May is looking like an enjoyable month already and I hope its games can impress me even half as much as the ones that did in April. What did you play in April? 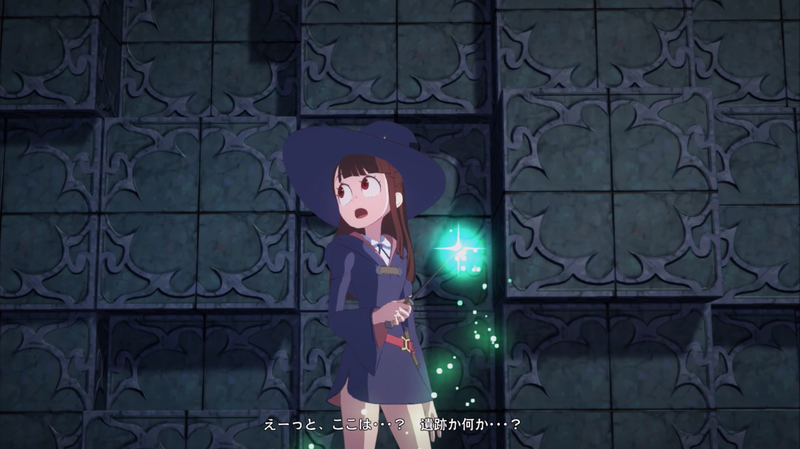 What your JRPG plans for May? I was wondering if you played Exist Archive. If so, any chance of a review? Also, do you have a Patreon account? Love the reviews.